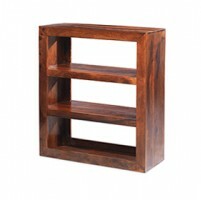 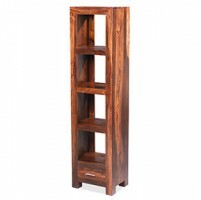 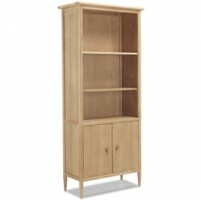 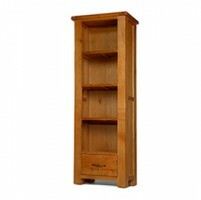 With a slim profile designed to make the best use of limited floor space while still offering a generous amount of room to store books or display collectibles on its open shelves, this contemporary bookcase is just the thing to fill narrower spaces. 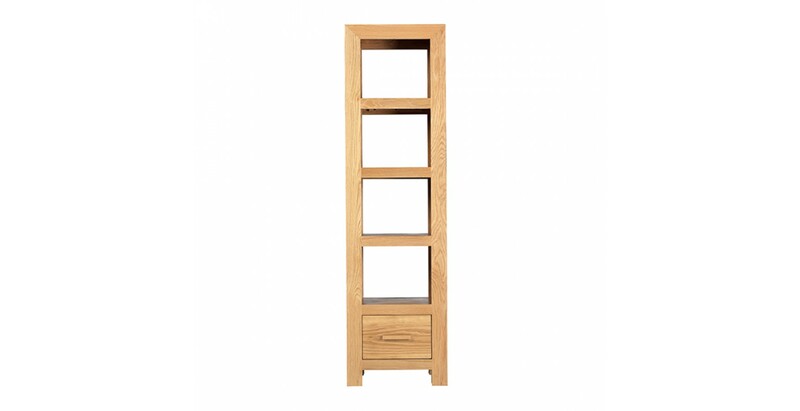 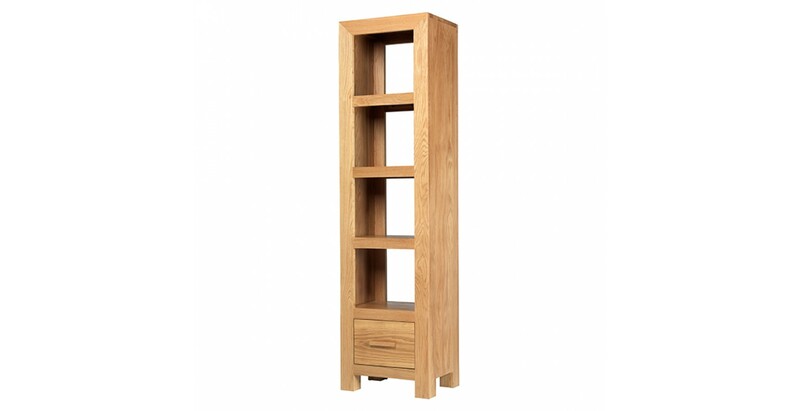 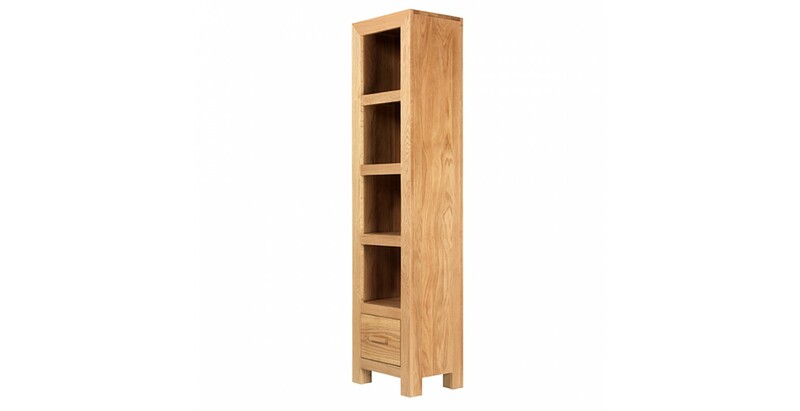 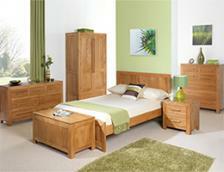 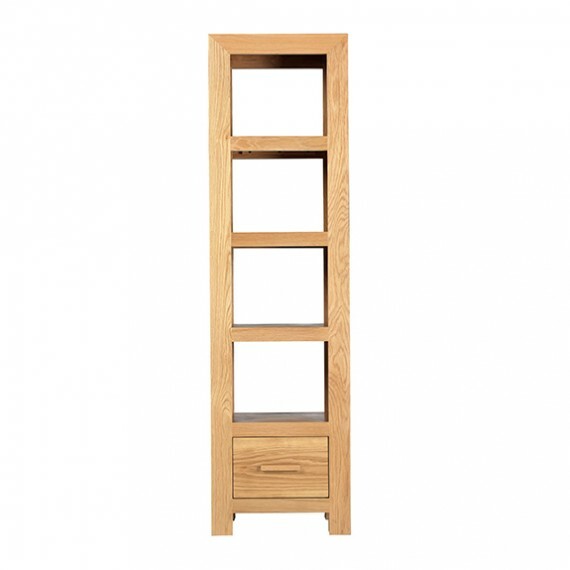 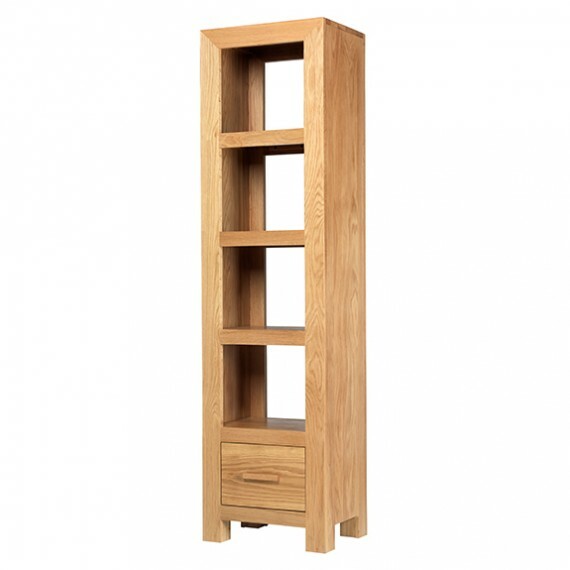 Sturdily crafted from solid oak and finished with a matt lacquer, it also has a handy dovetailed drawer at the bottom to add extra versatility. 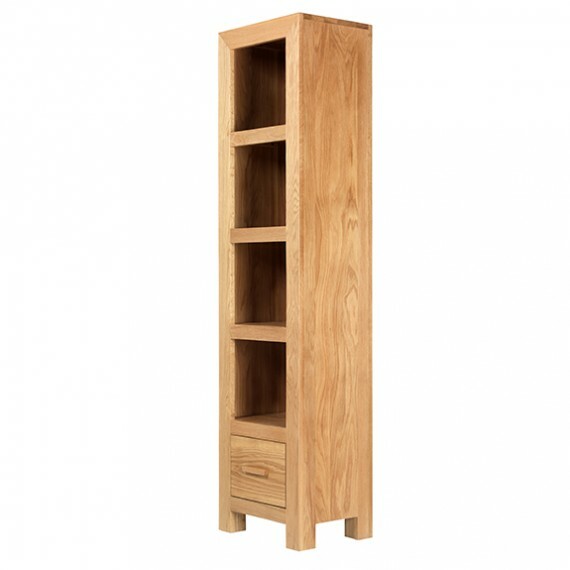 And because of its open-shelf design, it could be used in an open-plan room to help with zoning.